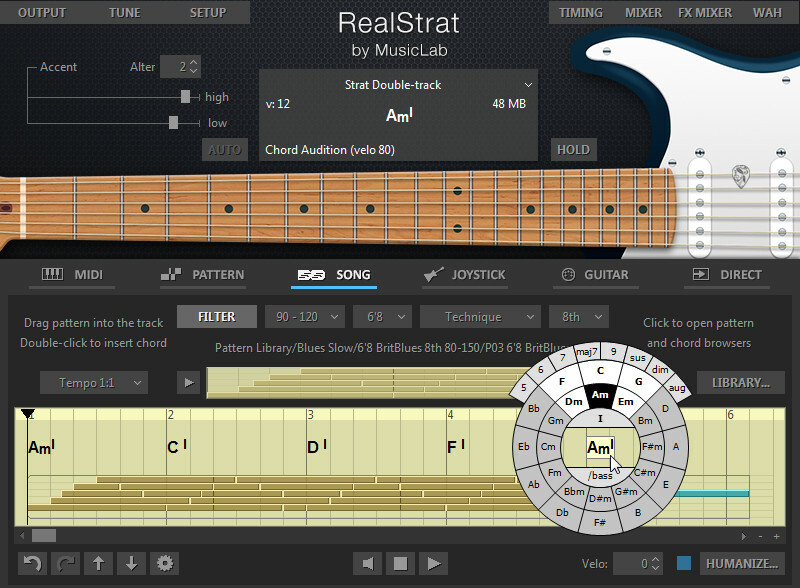 RealStrat is a sample-based virtual instrument with an innovative approach to guitar sound modeling and guitar part performing on keyboard. 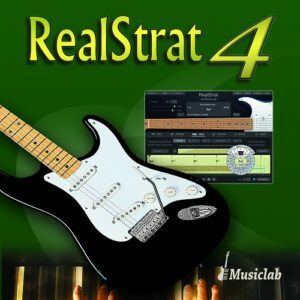 RealStrat provides incredible playability based on the unique performance modes and easy-to-use keyboard layout as well as the advanced key/pedal/velocity switch system allowing a keyboardist to perform guitar parts with a whole new level of realistic expression. RealStrat covers practically all sounds, articulations, and techniques a professional guitarist can produce on his Strat, including mute, bridge mute, harmonics, pinch harmonics, unison bend, strumming, picking, chord choking, scraping, etc. High quality dry samples recorded directly from Stratocaster pick-ups let you easily create any desired guitar sound using your favorite amplifier simulator. The unique Floating Fret Position technology, which imitates change of fret position of a guitarist’s hand on the neck. This gives you the possibility of playing on up to 140 guitar frets using just 46 keys of a standard keyboard! Sound Humanize technology allowing to wholly remove ‘machine gun’ effect on note repetition (tremolo, strumming, etc…). Product activation:An internet connection is required to authorize / activate the product (Challenge/Response).